Hi everyone!! Etsuko Noguchi here. I'm thrilled to be back on the PaperArtsy blog and tonight I'd like to share with you a post for the ‘HOUSE’ theme. 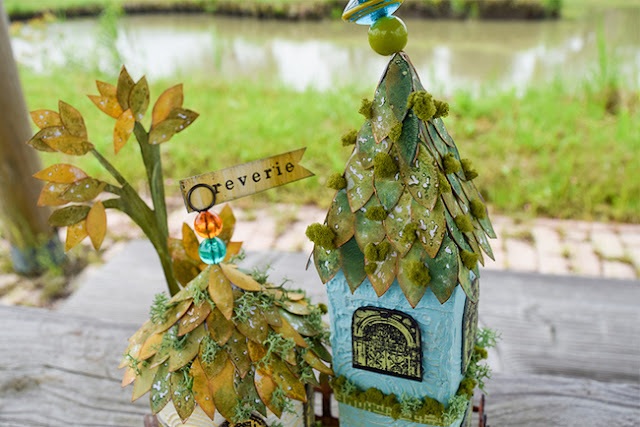 I made this Fairy House to use my new favorite Sara Nauman’s stamp set. 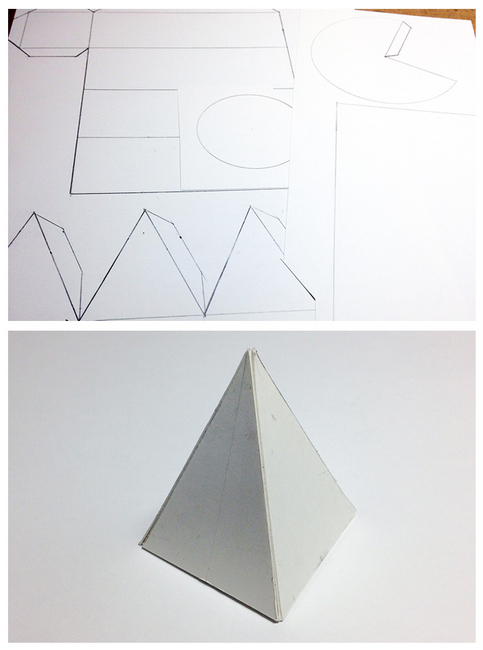 I started to make the houses using heavy weight card. I also stamped ESN20, ESN15 sentiments, wild flower and circle on the waxed tissue white using Archival inks. I tore the tissue paper and stuck by gel medium to the roofs. Step 3. I was very inspired by 'Wanderlust' e-class Andy Skinner's fabulous technique. 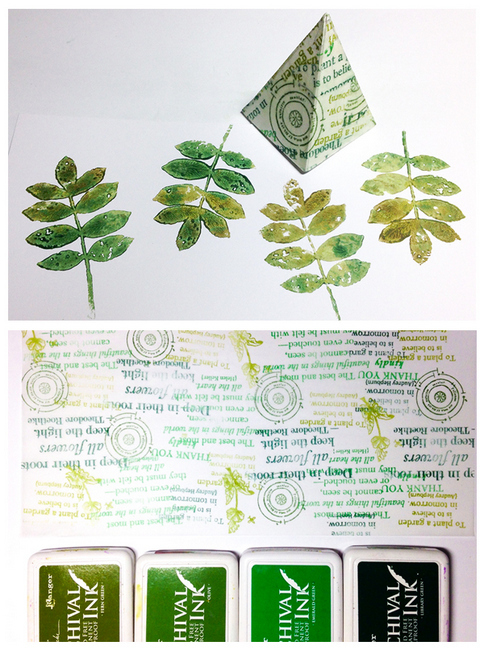 It was a complicated process but I followed up to the embossing this time. I used Prima Modeling Paste onto each of the outer walls then I used heat tool until the paste dried a little (once it is no longer creamy). I stamped ESN20, ESN15 onto the outer walls with a little water. I shaped the house outer walls when the paste completely dried. 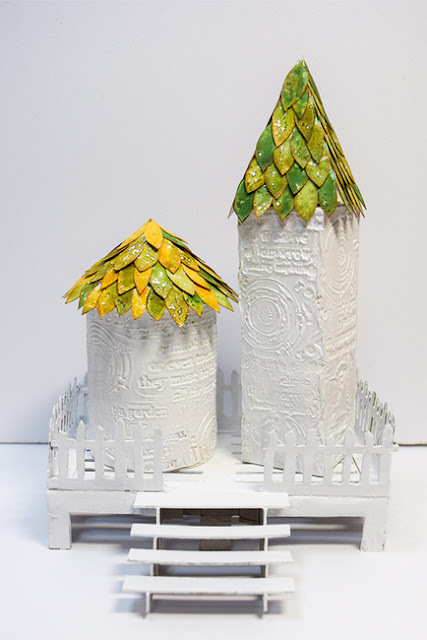 Also I made fence and steps with chip board, I then used Golden White Gesso on the houses. I cut the leaves to make the roof tiles and attached onto each roof. And I added mosses. The tree was made with the same way as the roof. I painted Fresco Mermaid on the cube house and I added dry brushing with Guacamole. I then painted Fresco Haystack on the cylindrical house and I added dry brushing with Blue Oyster. I used fab Hot Picks HP1605 to made the doors and the windows. 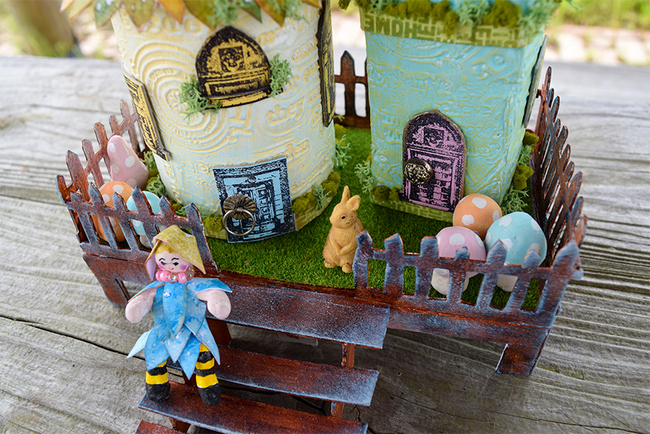 Finally I made the mushrooms and the fairy with paper clay then I painted with Frescos. I used ESN20 to made the fairy dress with Fresco Blue Oyster and China. 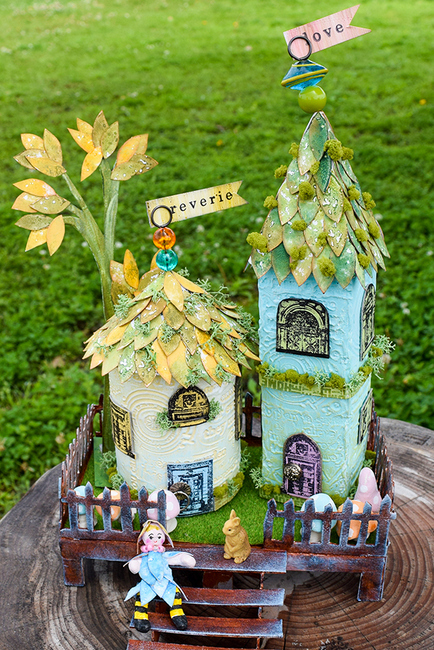 I really had enjoy to making the fairy house and love to play with wonderful stamps and Fresco paints. 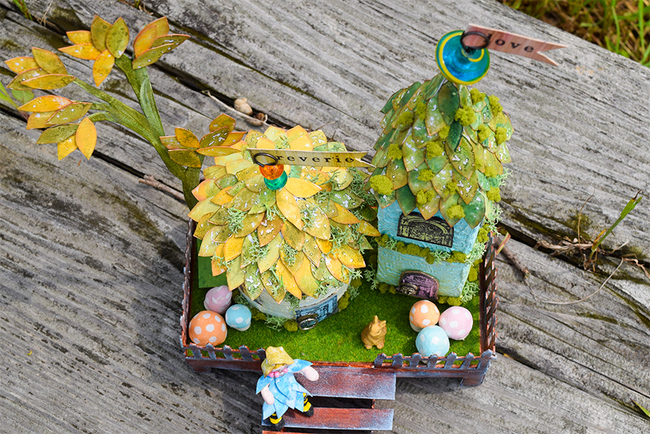 Hope you like this and would you like to make your own fairy house beside the window. Thanks so much for joining me tonight! We would love to see how you interpret this Our House topic by linking what you make to our 2016 Challenge #11: Our House, on this page HERE. All links go in the draw to win a £50 voucher to spend on products of your choice from the PaperArtsy online store. The Doodles link will close 17:00 (London Time) Sunday, June 12th 2016. The winner will be announced 2 hours later at 19:00. This is amazing, etsuko! Where do i begin? I love the shape of the houses and that you made them from scratch. I love the leaf tiles. I love the clay doll. The attention to detail and all the techniques are amazing. The shapes of the two houses remind me of the buildings we often see in France. Maybe they have fairies inside? Simply lovely, Etsuko - those leafy roof tiles are completely inspired. 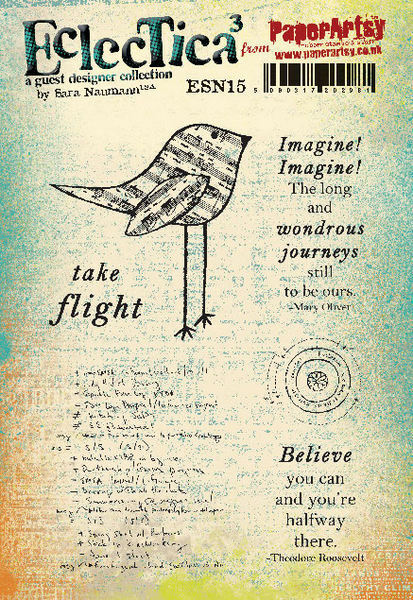 The whole project is full of imagination and delight! Aw. They're gorgeous aren't they? Great use of stamps. Flipping heck etsuko these look amazing how cool is the whole base you set them onto and I love all the fabulous details!! Fantastic!! Ditto what everyone else has said....these are amazing! Oh these are exquisite Etsuko. So many gorgeous little details to examine & delight in. Love the little fairy herself too. I would love to have this in front of me to pour over. We'll done a fabulous post. Wow!!! It's fabulous Etsuko! I love everything about it! Wow stunning houses, so much detail, must have taken ages and ages! So cute and whimsical! Love the texture on the walls.